Choices are an award winning agent, established for over 29 years. We have 10 offices across the South East and South London, all of which are linked with specialised web based systems giving us the ability to let or sell your property from any branch. 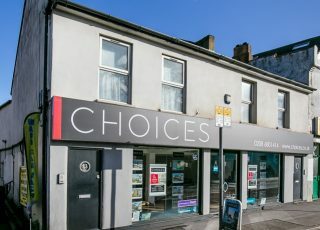 We offer our clients a unique cost effective approach to Sales, Lettings and Investments combined with unrivalled customer service and a commitment to excellence. Our local office is conveniently situated at 41-43 Brighton Road, South Croydon, CR2 6EB. If you are looking to sell, buy or rent in Central, East or South Croydon, Thornton Heath, Purley, Addiscombe and surrounding areas, please contact us for assistance – our experienced and knowledgeable sales and lettings team will be delighted to help you.